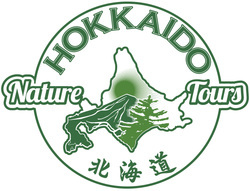 Thank you for your interest in a custom-made tour with us at Hokkaido Nature Tours. We provide exceptional private tours that are tailored to your interests in every season all around Hokkaido. We pride ourselves on our communication, flexibility and creativity in creating and guiding incredible tours, always with an English-speaking nature guide and private transportation. Please complete the preferences form below with as much detail as possible so we can most accurately plan your tour. We will be in touch shortly after receiving your form. We look forward to guiding you through the magical island of Hokkaido one day soon. Choose One Ms. Mrs. Mr.
We can provide pick-up & drop-off from any airport in Hokkaido as a way to begin/end your tour. If you already have air tickets confirmed, please include flight number and arrival date & time. We look forward to customizing the perfect tour for you, and the best way for us to do that is with good information about your preferences. Please include any specific places you'd like to visit on your tour. Also, any special requirements, equipment needs, dietary restrictions, concerns or otherwise, please feel free to ask.